This free, drop in event for 16-24 year olds will be held at Stratford Circus Arts Centre. 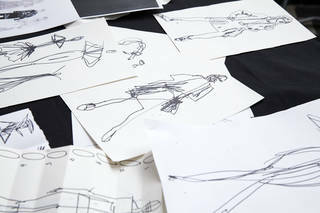 V&A and Stratford Circus have come together to develop a one day festival about career opportunities in fashion and costume design. Engage with world class fashion makers and designers, take part in taster workshops, watch demonstrations of making skills and see displays by up-and-coming designers. You are welcome to bring in your fashion portfolio and CV for advice and feedback. Devised in association with CreateVoice, the V&A’s young people’s collective. Download the programme for more information. This event is part of a wider programme of collaborations and activities that the V&A is developing with organisations across East London as preparations for the V&A East project gather pace - two new interconnected sites in Queen Elizabeth Olympic Park, London opening in 2023.